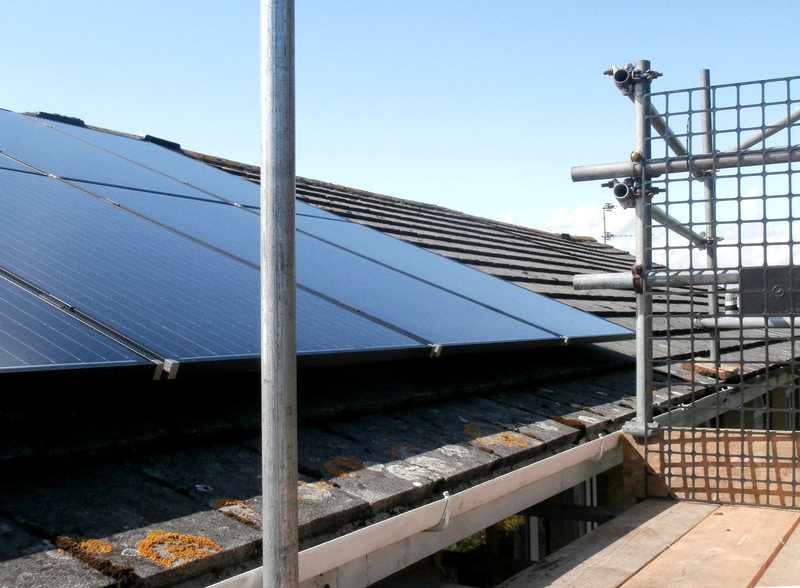 We have decided to splash out on a couple of items for the house including having solar panels installed. 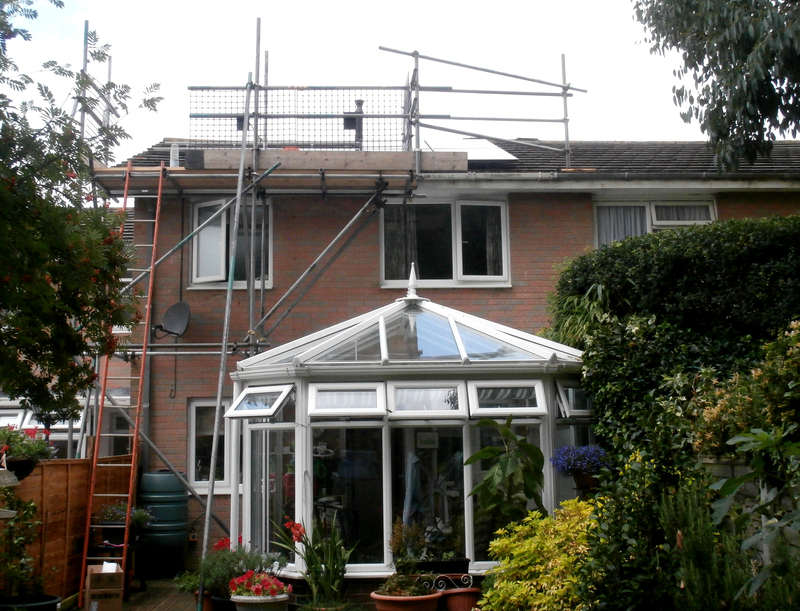 With an east/west facing roof and some very tall trees in our neighbour’s garden our house isn’t ideal for solar, but we decided to go ahead anyway. Modern panels are more efficient than their predecessors in capturing indirect sunlight but we never even reach 50% of what the panels are capable of generating in ideal conditions. 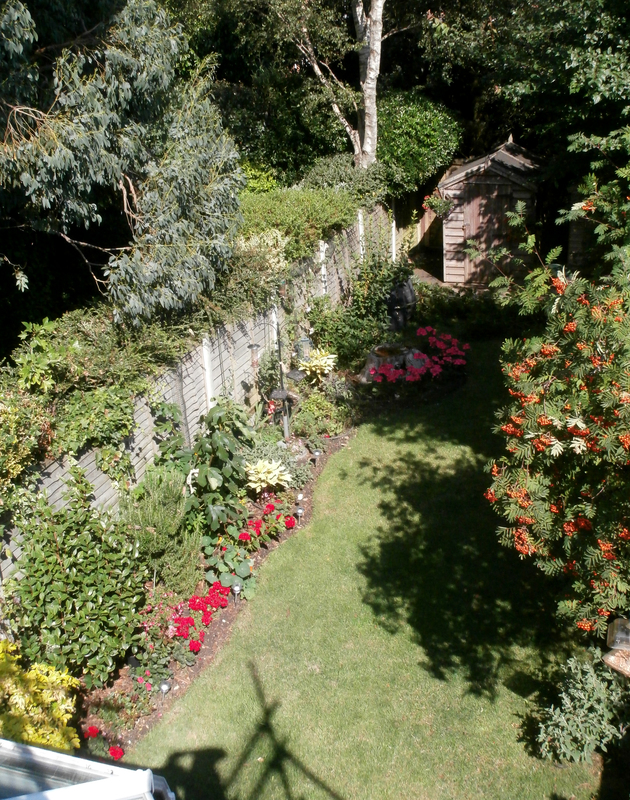 Once the workmen had gone I could resist climbing the scaffolding to get this view of our garden. 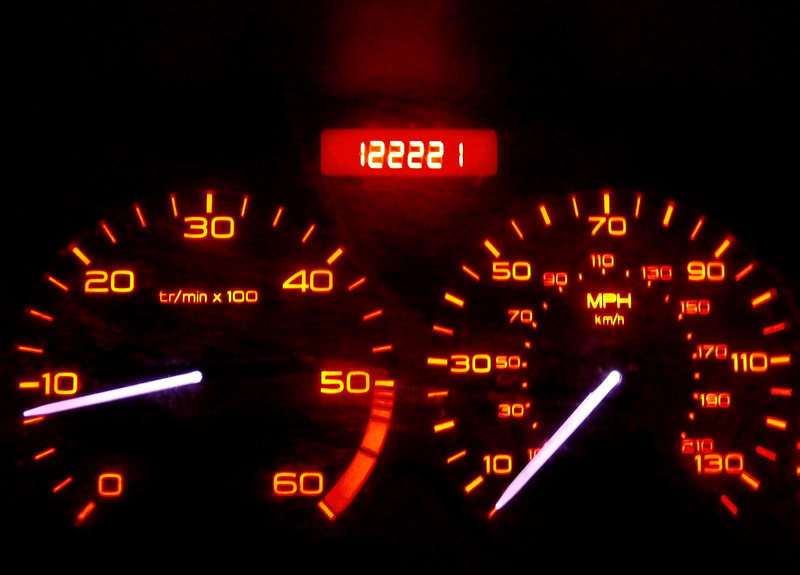 Some months ago I posted a picture of the old Peugeot when it had reached 111111 miles and asked the question of whether it was time for a new car. Now its done a few more miles and the answer to the new car question is …. yes! For the first time in my life I have bought a brand new car, a Nissan Qashqai Tekna and I am very pleased indeed. It is lovely to drive and is full of extras such as parking cameras, auto dipping headlights and does up to 75mpg although I’ve only averaged 55 so far. The car got its first outing when we went up to Derby to see my brother and family and then on to the BirdFair in Rutland. It was hard to use features like cruise control as traffic was awful and it was stop/start all way. 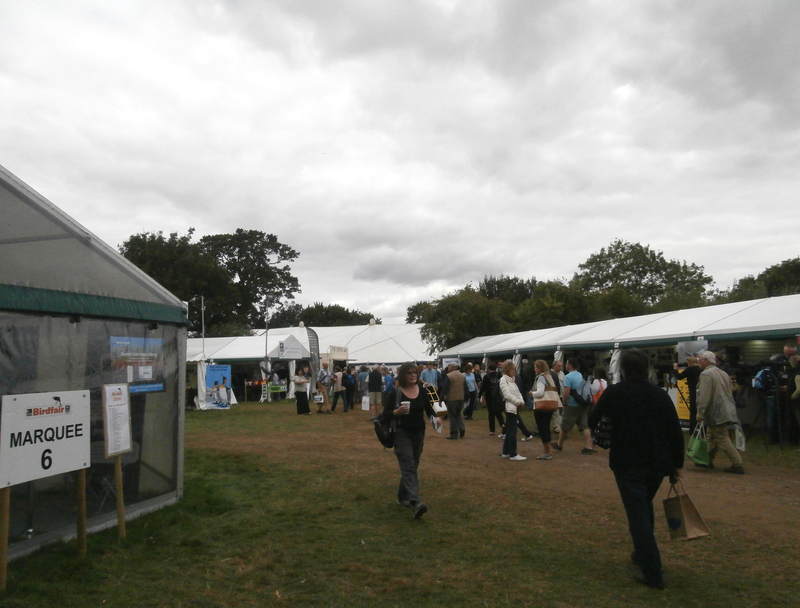 The BirdFair, known as the ‘birders Glastonbury’ was excellent as always and attracted about 22,000 visitors over the three days and raised about a quarter of a million pounds for Birdlife International’s conservation program. I spent a lot of time catching up with old friends and acquaintances as well as attending a few lectures and quizzes. We attended a couple of quizzes run along the lines of Mastermind. One, the Bird Brain of Britain chaired by Bill Oddie was hilarious, mainly on account of Bill’s constant ad libbing with the questions and answers. 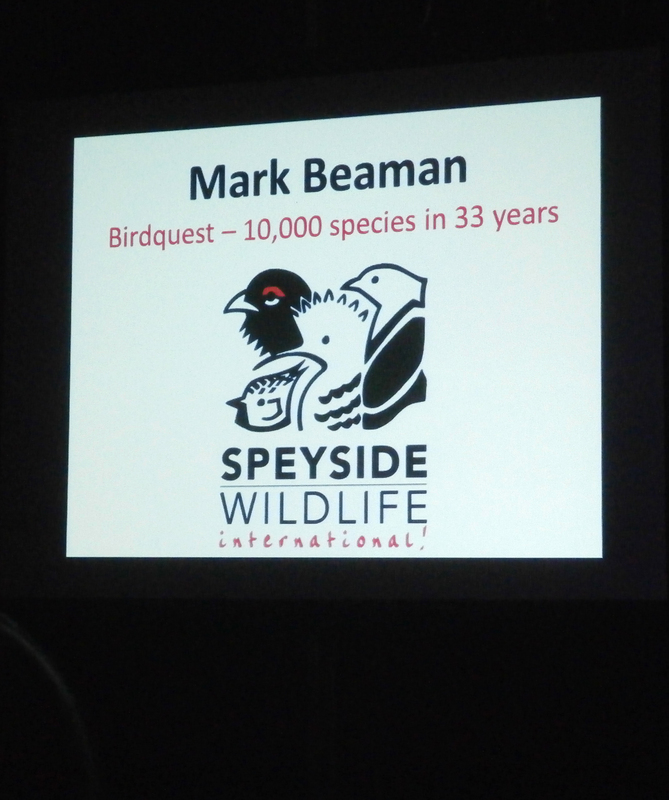 We also went to a talk by Mark Beaman, Birdquest’s managing director, celebrating how the company has shown it’s clients over 10,000 bird species, some 95% of the world total. 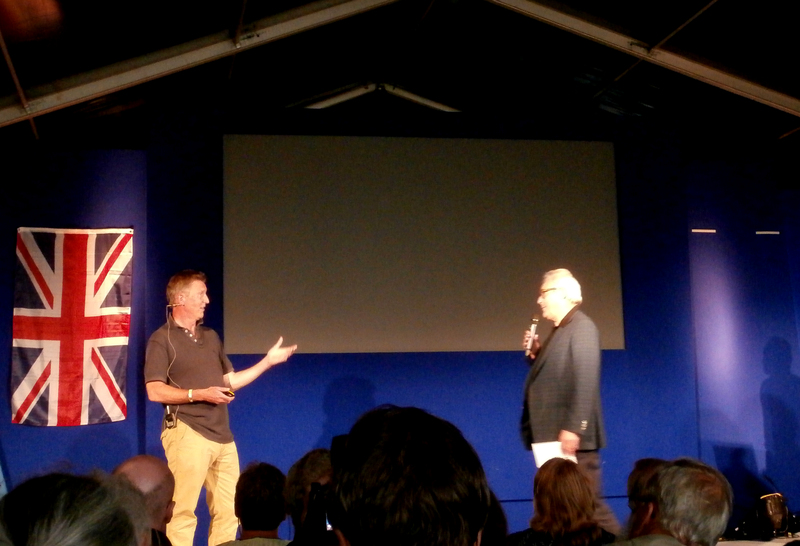 Mark’s talk was very interesting and highlighted a particularly difficult event in Arctic Siberia some 17 years ago. We normally attend for just one day but this time we stayed overnight so we could go to the evening talk entitled ‘listening for life’ by my friends in the Sound Approach. Killian Mullarney (L) and Mark Constantine (R) gave an account of how the Sound Approach was formed and what it has achieved. Mark surprised many taking the microphone into the audience and to get impromptu sound bites from unsuspecting friends and colleagues. We had planned to meet up with our American friend Patty Scott at the BirdFair and then bring Patty back to Poole with us for a couple of days of birding and ringing. Patty had already spent several weeks in the UK visiting friends and was staying with Rosemary Foster, an old friend from previous Birdquest trips, at her place near Grantham in Lincolnshire. 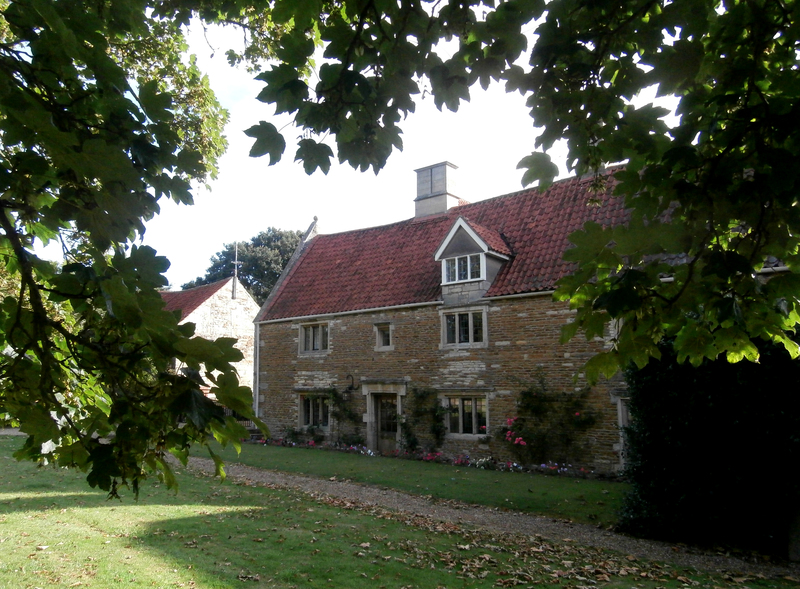 Rosemary kindly invited us to stay there as well, so we spent a night at her lovely 16th century farmhouse. 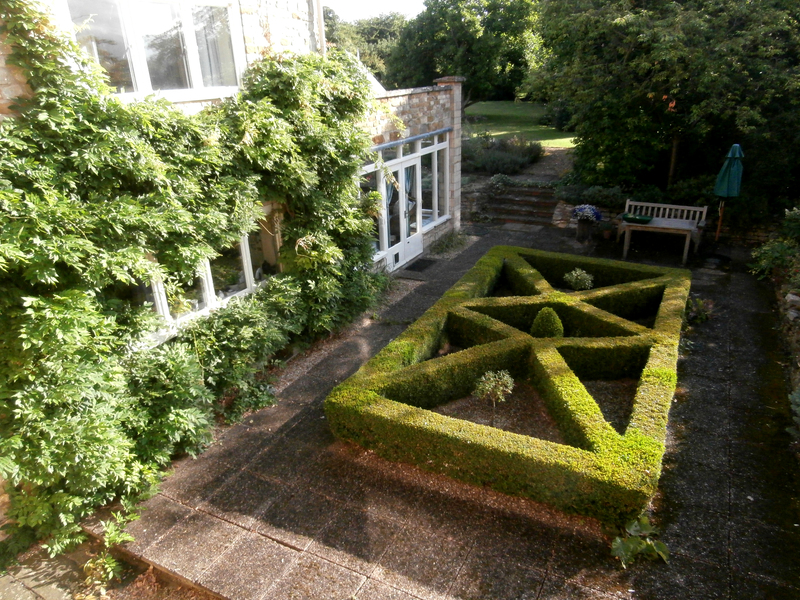 This was the view from our bedroom. 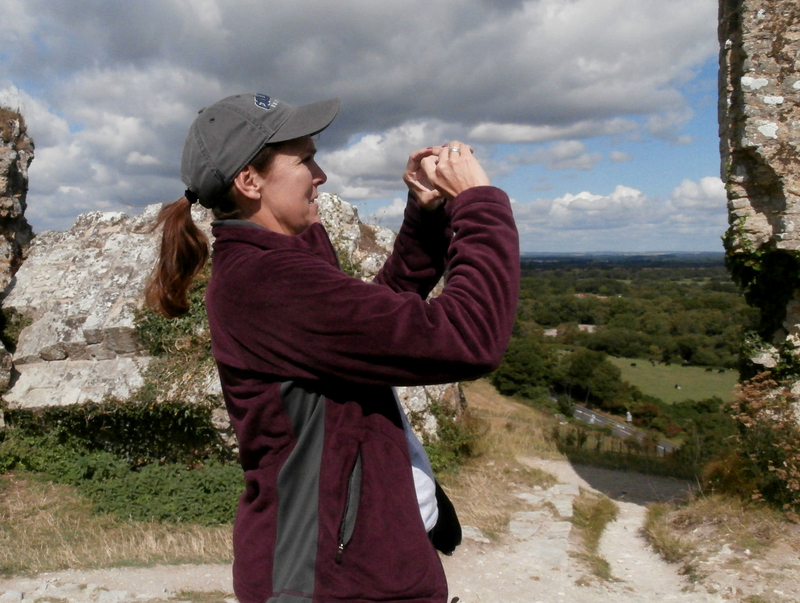 Patty is a ringer (or bander as they say in the States) and was keen to come to Dorset to see some UK species in the hand. We spent two very pleasant mornings at Durlston (more in the next post). 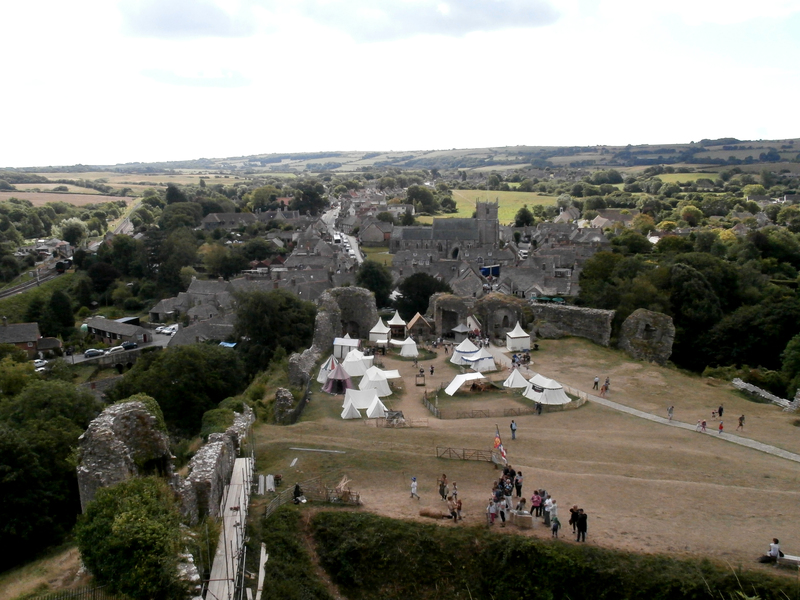 On one day we visited Corfe Castle on our way back. 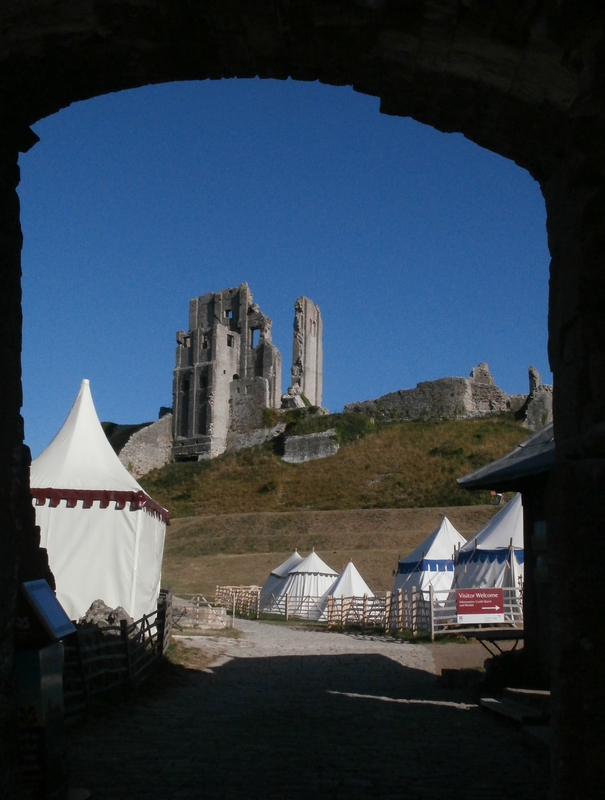 The original pre-Norman castle was built of wood and became infamous when an English King, Edward the Martyr was murdered there in 978AD. 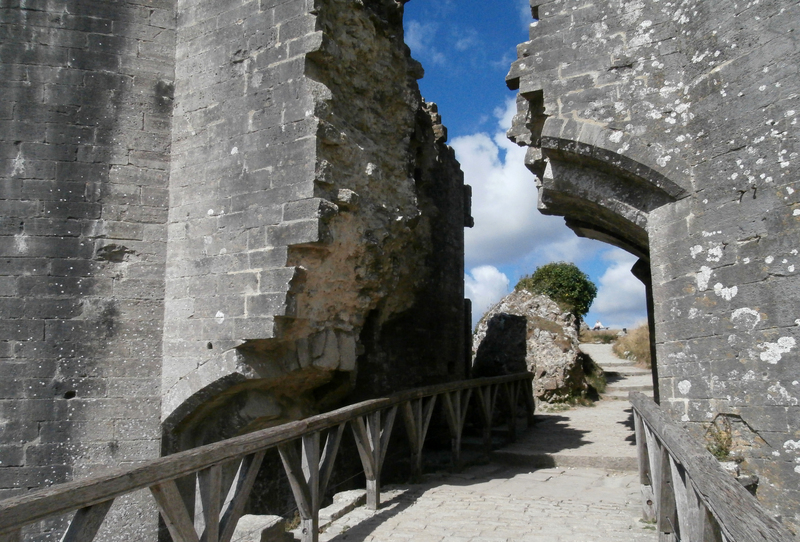 The stone fortifications seen today were built by William the Conqueror. The castle was sold by Elizabeth I in 1572 to her Lord Chancellor, it was then sold on to the Bankes family in 1635 who owned it until l982 when it was bequeathed to the National Trust. The castle was held by the Royalists during the English civil war and was destroyed by Parliamentarians in 1645. Sappers lay gunpowder under the enormous keep, the resultant explosion and caused the left hand side to subside by several metres. 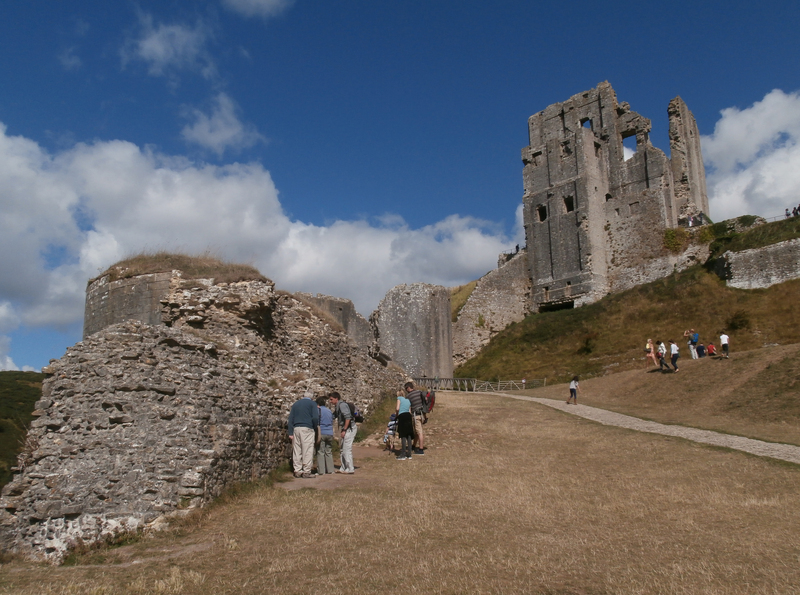 Today the castle is a major tourist attractions, its ruins dominate the skyline on the way into or out of Purbeck. Various medieval crafts are being demonstrated in the marques below. 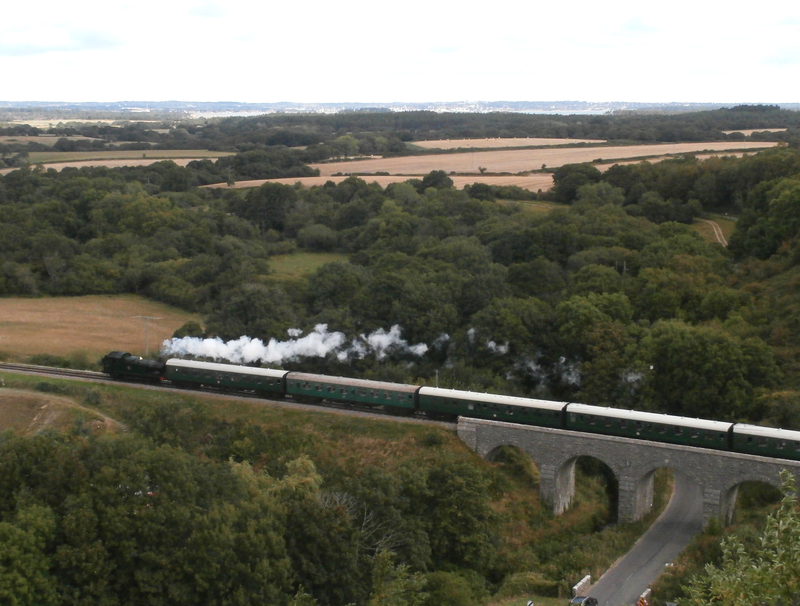 For once I could look down on the Swanage to Corfe steam railway . One day I’ll get round to travelling on it. As well as visiting Durlston and Corfe Castle, Patty and I also went over to Portland Bird Observatory as another friend, Birdquest leader Pete Morris and his family we staying there for the week. Pete and his two boys Jack and Josh were off hunting bugs, Patty is chatting to his wife Nina. On the next day Pete, Nina and the boys came over to Durlston to see us ring some birds. As well as Portland and Corfe Castle we took Patty to Tyneham, the village that was evacuated during the war so troops could prepare for D-Day. The village has remained deserted ever since. This is the school room restored to look just like it did in the 40’s. BirdFair season always sees friends from the Sound Approach or the old Dorset birding scene visit Poole, either just before or after the Fair. We have had three pub get togethers in the last three weeks, the first to meet up with former Dorset birder James Lidster who now lives in Holland, the second to meet Killian Mullarney, Rene Pop and Arnoud van den Berg of the Sound Approach and the third to catch up with another Sound Approach member, Magnus Robb. Patty also came along for the third get together and was able to participate in a discussion of the appropriate English name for a new species of owl(you will have to wait for the publication of ‘Undiscovered Owls’ to find out which one!) In the picture above Killian talks to Nick Hopper whilst Margaret is chatting to Mo Constantine and Cecilia Bosman off picture.